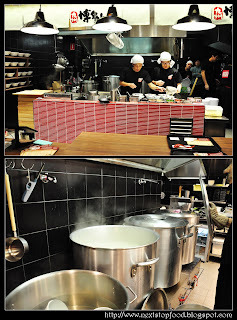 Ramen joints are popping up every where across Sydney lately, and Hakata-Maru Ramen is just one of them. This joint is part of the Toridoll Corporation and we have been enlightened that ingredients are imported from their Japan factory. Toridoll currently owns approximately 800 shops in Japan, China, Korea, Hong Kong, Thailand, Taiwan, Indonesia, America and Russia. 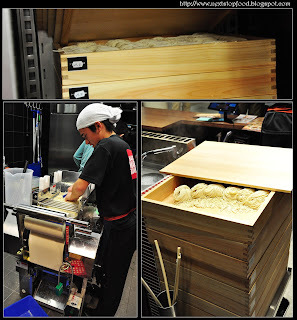 All their ramen are made in house, and then stored in the chiller ready to be served once set. 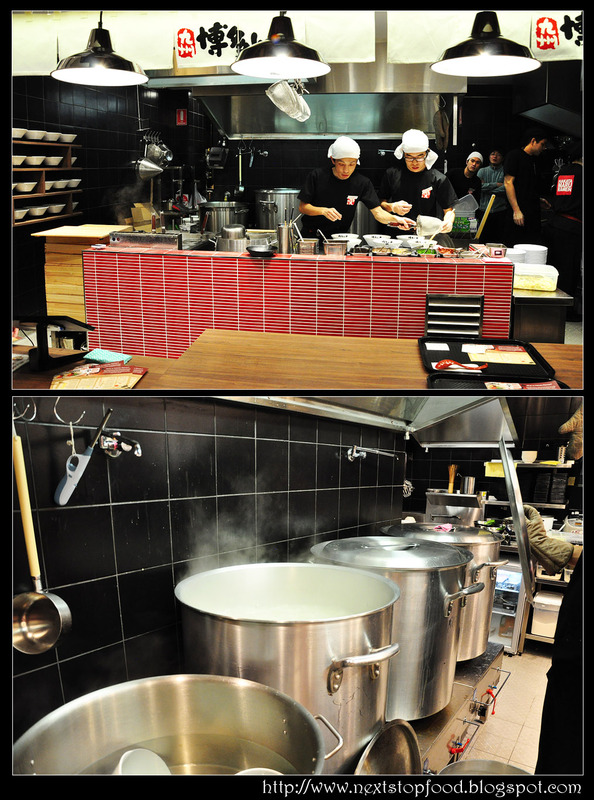 Beyond the counter and busy chefs, you will see three massive pots which are switched alternatively daily. It takes about 6 -7 hours to brew, and the turnover is approximately 1.5 – 2 pots a day! The red tonkatsu is topped with special spicy miso. First bite into it, I was telling Jess “It’s not that spicy” but let the ramen sit in for a little longer, slurping some soup- you’ll realise there is a build up in the spiciness. Oh ... My ... the texture of the ramen is simply perfect (to us). Hakata style ramen allows you to cook the ramen to your liking, as for us, we like ours firmer. The elasticity was simply satisfying us in all ways! 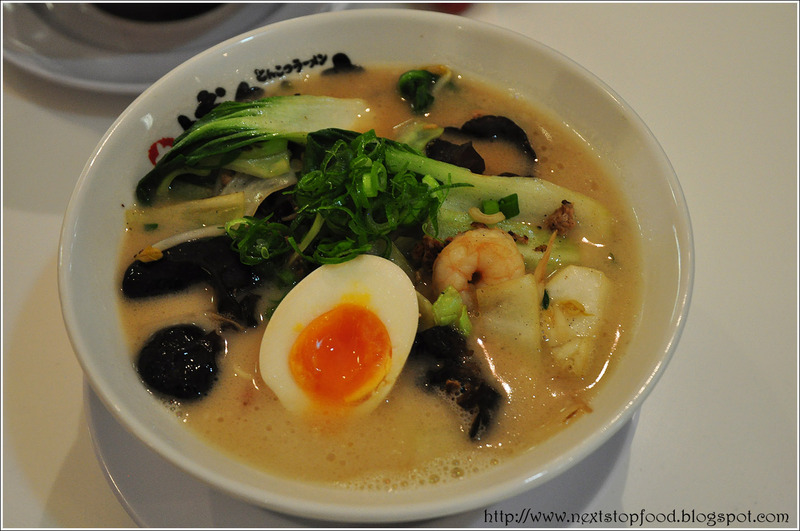 We were told that the red, white and black tonkatsu uses the same broth – well ... so does the prawn and vegetable ramen. However, because they stir fry the prawns and vegetables, there is also an additional touch of soya sauce. You would think that there could not possibly be more to the flavours, but having that subtle touch of soya sauce takes the broth to a whole new level. I was either really lucky, or I subconsciously held back ... but I present to you my favourite bowl of ramen! The black ramen. This is topped with dark garlic oil and garlic flakes. BAM, it hits you just like that – or maybe because I had the others first so it was just so mmm~~ so if you’re a garlic lover ... this one is just for you! 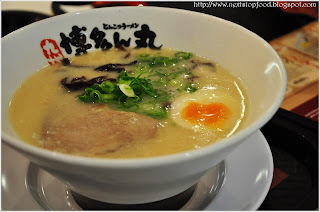 Hakata Maru also offers the “Kaedama” which is an extra serve of ramen. In Japan, they tend to eat their first bowl of ramen as it is served – to simply enjoy the broth just as it is. They then follow with an extra serve of ramen, adding their choice of toppings. You’ll find the toppings located on the far right on the counter, white sesame, red ginger and spicy takana pickles. If you only have half a bowl of soup left, and it’s not quite enough for your extra serve of noodles, you can also get some more! Sides!! Who doesn’t like to have some fried goodness on the side with their ramen?! 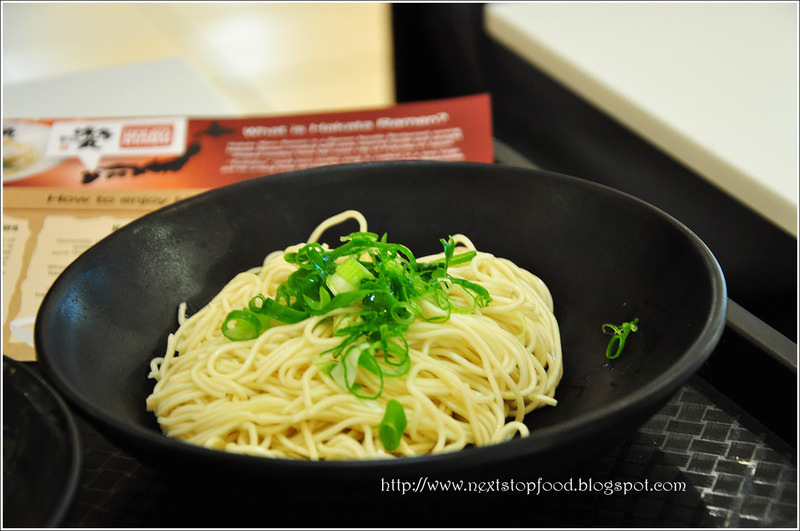 As Hakata Maru want to concentrate their flavours on their ramen, they have made their sides a little less flavoursome. 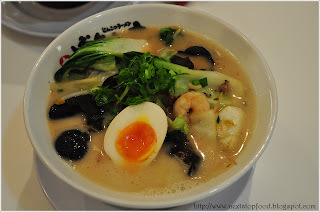 So, it does not surprise us when we eat these lovely dishes that nothing overpowers the essences in the broth. 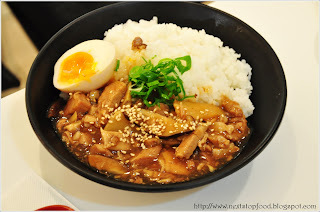 If the ramen doesn’t fully hit the spot for you, then you can consider ordering a pork donburi on the side! Amongst the pork you’ll find shiitake mushrooms and bamboo shoots. The pork tempura has a subtle hint of curry, the batter is fried to offer that lovely crunch – the pork oh so tender! 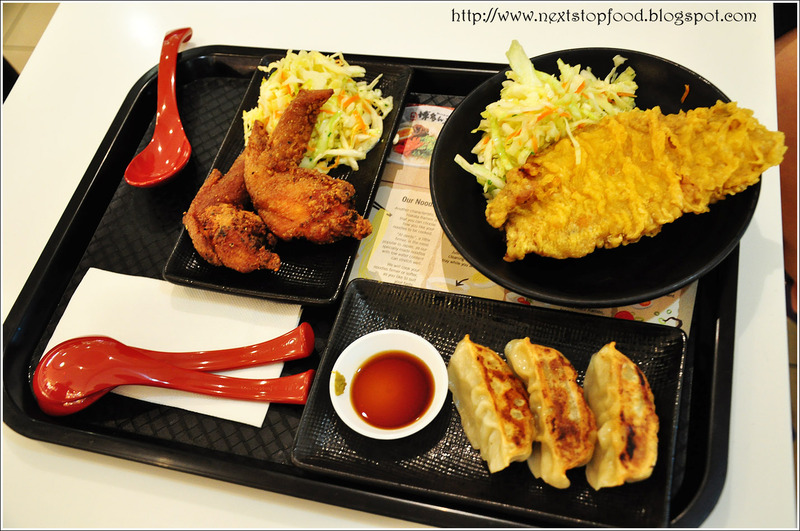 The pan-fried gyoza came with the most delicious looking burnt crispy bottom, and soft pastry. The chicken. Oh my ... THE CHICKEN! What’s so good about the fried chicken wings? ... I guess some people aren’t too into wings due to the bones. I am ok with bones as we all know that’s where all the flavours come out of when cooking, so taking them out –chicken wings just aren’t the same ... These chicken wings goodness only has ONE bone in them, why? Because the other has already been taken out. Why do they leave one bone? Because as I said above, the bone is where all the goodness is. And ... you can still eat this ... boneless!! Hold onto one end of your chicken, and the other hold the bone, twist and pull ... and VOILA! It’s out! 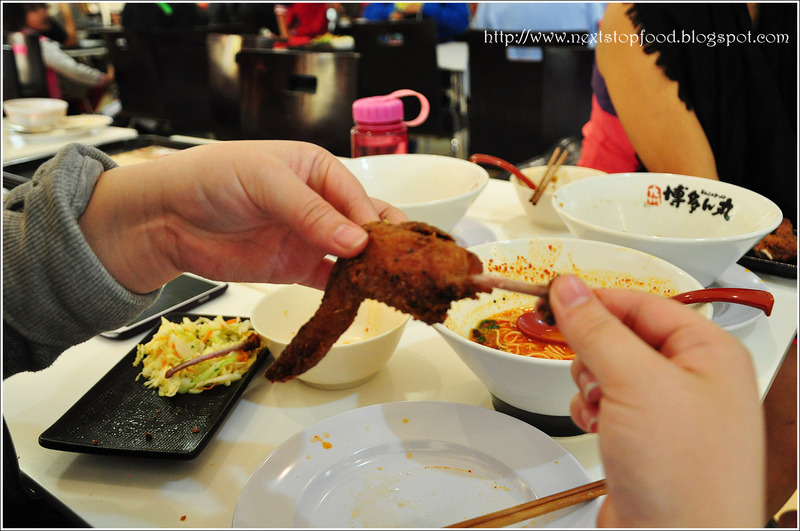 As expected the chicken was succulent, with a nice crunchy exterior ... LIKE YUM! Keep on a lookout, as their menu may just expand over time ;) We cannot wait to see what other delicious food they will offer! Oh ... our verdict? You may not get table service but you get the same quality of food ... and seriously, it can leave your bellies satisfied and full for under $10 or $15! ... That depends on your stomach I suppose ... haha! Note: Next Stop: Food was invited to Hakata Maru Ramen. 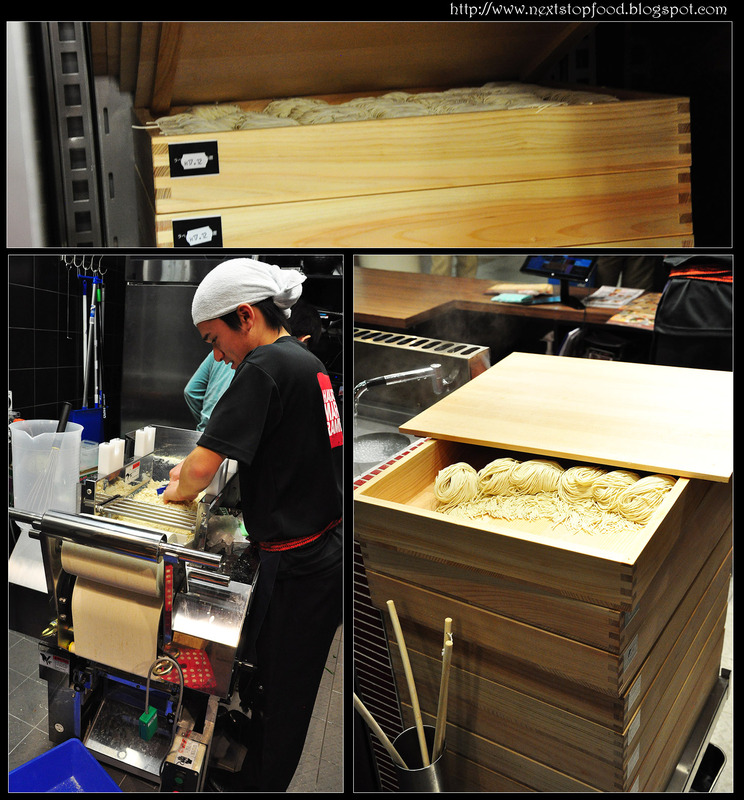 We would like to thank Hidetoshi Tsuboi for his valuable time and the great team at Hakata Maru. This post is purely of our own thoughts. I do like their black tonkotsu :) and those wings are pretty awesome. and yes, the wings - massive highlight! Oh no I'm falling behind on my ramen hunting! Full time work puts in quite the dent on time. HAHAHA! totally agreed!! work makes us all out of time! 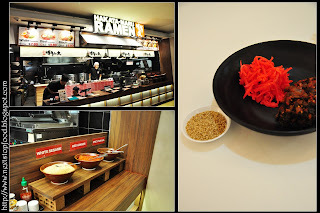 love learning about new ramen joints, must give this one a try soon! Ramen! !mmm currently salivating from all the way in South America! I guess a revisit must happen when you're home! 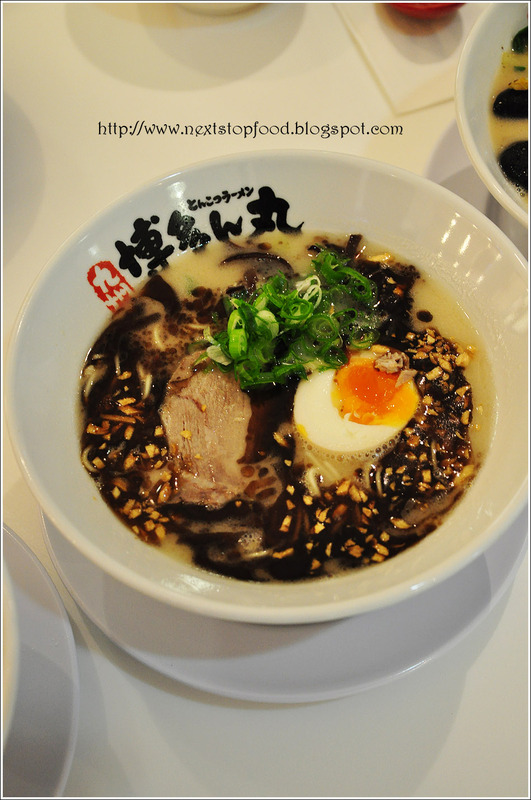 It does seem like ramen fever has struck Sydney - perfect timing though with winter though! I know right! Winter warmers, hearty meals! unfortunately i am not the biggest fan of ramen but dam those servings look huge! the serving size is sort of like ippudo? Looks delicious! My mouth's watering! 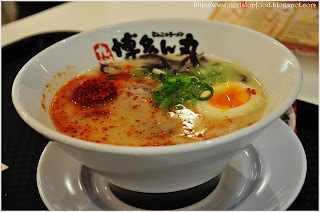 I'm loving all of the new ramen places-there's nothing better with the cold weather. And the chicken sounds fantastic too!